My foundation degree has completely transformed my professional life, helping me develop my abilities, skills and the quality of work I produce. I have been appointed as the prison’s voluntary Lesbian, Gay, Bi & Trans (LGBT) representative, alongside my usual work. I then utilised my Work Based Learning 2 module to re-launch the LGBT support network, assess the needs of LGBT staff and prisoners and make recommendations for improvements. This report was well received and backed by the Prison's Senior Management Team, and it has proved so successful that it is being submitted to Prison Service Headquarters to be rolled out in all prisons. This has enabled me to participate in further diversity initiatives, including the creation of e-learning packages, community outreach and policy writing for the prison service. I'd been interested in criminal justice ever since completing my A-Level in Law. After a year of study, I realised I wanted to become a Magistrate Judge. I was only 20 years old, and I knew that it was uncommon for someone to apply so young. There would be many obstacles ahead, but through a combination of self-confidence gained through this course, support of the experienced tutors and inspiration of fellow students I was motivated to apply. After a long 12-month application procedure, including a written application and two intense interviews, I became the youngest-ever appointed Magistrate Judge in London at the age of 21. My goal now is to use what I have learnt in my degree and my magisterial capacity to move forward and encourage young people to achieve their goals. After dropping out of a degree course in the early ‘90s I'd thought that getting back into higher education as a mature student would be too difficult. Studying with University of Essex Online has been a unique and rewarding experience. Since graduating it has become clear that a degree achieved online is as credible as one achieved on a campus. Numerous employers have said that online learning is a skill in itself and that they admire the dedication required. University of Essex Online made studying one of the most important qualifications of my life an easy and enjoyable experience and I wish to thank everyone at University of Essex Online for playing such a huge part in my professional development. Susy Menis BA (Hons), MSc. Susy Menis completed a Dottorato in Giurisprudenza (BA Hon) at the University of Bologna, Italy and a Msc in Criminology and Criminal Justice at the University of Surrey, and has completed a PhD at Birkbeck London University, School of Law. 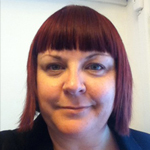 Susy has been teaching with Essex University Online since 2009 on the Criminology programme. She has delivered and designed a number of modules. Her teaching includes: Introduction to Criminology, Introduction to Psychology, Crime and Society, Justice and Punishment, Criminal Justice System, Custodial Care, Risk Assessment and Management, Legal System, Dealing with Offender Behaviour, and the Criminal Justice Project. Susy has been teaching as an Associated Lecturer and Visiting Lecturer on the QLD LLB and LLM programme for Birkbeck London University, the Open University and St Mary’s University, Twickenham. She also delivers the Certificate in HE in Legal Methods at Birkbeck School of Law. Susy is an external examiner on behalf of Plymouth University for the Criminology and Psychology Foundation degree in South Devon College; she has been a member of the Prison Monitoring Board since 2010. 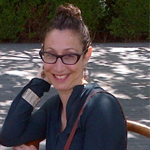 Susy’s research interests are in the area of socio-legal studies, criminal law and criminology. Ajoy recently retired as a Detective Inspector in the London Metropolitan Police Service. Over his career Ajoy has gained considerable experience serving as a detective in a variety of major enquiry investigations including his work Scotland Yard’s Anti-Terrorist Branch (SO13). 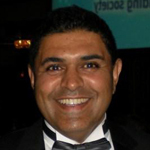 Alongside Ajoy’s vast professional experience he has completed an undergraduate degree and has also completed a postgraduate degree at the University of Leicester. Ajoy has also gained considerable experience teaching internationally as a visiting Faculty Fellow at the American University Washington. Ajoy is currently a corporate investigator for a major international airline, dealing with fraud and internal investigation in the UK and overseas. Carol holds an undergraduate degree in Politics and a postgraduate in International Relations and Security Studies. After first researching International Relations, then a career in IT, Carol returned to academic study. She achieved an undergraduate degree in Community Justice and a Diploma in Probation Studies, qualifying as a Probation Officer in 2004. In this role, Carol has held a number of different positions, working with life-sentenced prisoners, a youth offending team, the Crown and Magistrates Court, various field probation teams and in accredited programmes. Carol later specialised in working with female offenders and this area is her main practitioner and academic interest. Carol has been working as a Freelance Tutor since January 2011 and enjoys working with students via the online education platform. These modules are core and must be passed in order to achieve the award. We adopt an assignment-based approach to assessment instead of exams. Criminal justice assignments are based on real-life work experience and assessed by tutors on an ongoing basis. 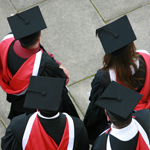 On successful completion of your Bachelors degree in Criminal Justice, you will be invited to attend a graduation ceremony at the University of Essex, Colchester Campus. You may be eligible for a government-backed tuition fee loan to cover the full cost of your BA (Hons) Criminal Justice (Top-up) course. If you do not progress after the first 21 days, your loan will not be activated and you won’t be charged. If you have paid for the course yourself you will receive a full refund.